My struggle with weight began in August of 1998. Before then, I had always been thin and athletic. That month, I had a procedure done on my teeth, which led to a set of hidden infections that took eleven years to discover and clean out. In those years, the infections showed themselves in seemingly unrelated ways: near-constant illnesses, random allergy symptoms, bipolar symptoms, hypoglycemia, and a weight roller coaster where I would go up or down by 20-30 lbs in a few weeks unrelated to diet/exercise. In September 2009, the last infection was cleaned out, and within weeks, all of the above symptoms literally disappeared. 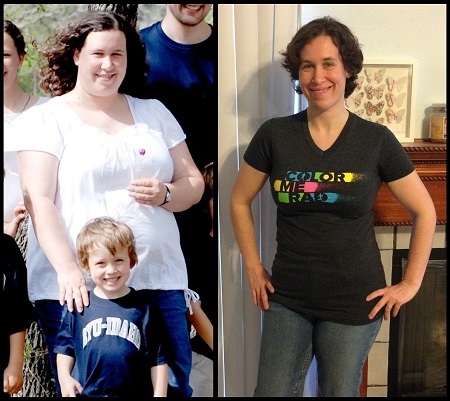 At Thanksgiving in 2009, I began to work to lose the weight I gained while sick. Before the first infection, I weighed 125 lbs, a weight that is actually undersized for my 5 ft 6, medium-to-large build (ie I look like a skeleton in photos). The ideal weight for my body type is between 140 and 160 lbs. By the time my last tooth infection was cleaned out in September 2009, my weight had reached 260 lbs. My goal was to lose 100 lbs to reach the top of my healthy weight range. Once there, I want to lose another 10-15 lbs, but my primary goal was to lose 100 lbs. My journey downward began with three changes: an exercise challenge, trading in my dreadmill for an elliptical, and learning how to differentiate between physical and emotional/mental hunger. 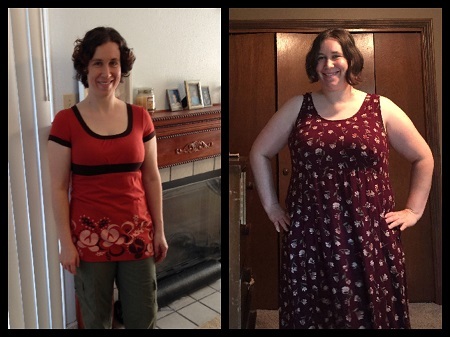 With these three changes, I lost 20 lbs in five months. I stalled out there because my exercise was never terribly consistent, I got lazy about paying attention to my body’s cues, and I had no social support system to rely on. I maintained the weight for another seven months, leading me to Thanksgiving of 2010, exactly a year from when I’d started trying to lose. By that time, I was pretty depressed about my weight loss efforts and felt hopeless about ever losing more. The week of Thanksgiving, I woke up from a dream that I was writing a memoir about the four things fat women can’t do without people staring at her: eat, exercise, think, or be happy. Waking up from that dream sent me into an even worse depression, and I began to eat-as-punishment over the next few weeks. The worst part was knowing that that’s how I felt, that I was invisible when I wanted to be noticed, and noticed when I wanted to be invisible. I was walking around in a cloud of shame. I regained 5 lbs between Thanksgiving and New Years. As 2011 approached, I knew I had to do something drastic. I HAD to change. I seriously considered lapband surgery, but chose instead to give myself one more chance to lose properly. I started the year with little changes again: consistent daily exercise (5-6 hours per week), more water (100 oz/day), more sleep (8 hrs/night), healthier but reasonable foods, and always paying attention to hunger cues (something I’ve discovered since is called intuitive eating). Using these basic guidelines, as well as help and support from Sparkpeople.com, I lost 54 lbs in 2011 and 27 lbs in 2012 (total loss 96 lbs). I hit my goal of 100 lbs lost in February 2013, lost about 5 more pounds, and then proceeded to maintain the 105-lb loss without trouble for most of the next two years. However, in May 2014, some major life changes caused stress, depression, and disordered eating habits, which led to Part 2 of my journey. In May 2014, Jason took a job in Boston. After nine years of living in San Antonio, we began a series of cross-country moves that sent us to Boston, back to SA, to Wisconsin, and then back to SA. This all took place over three years, from summer 2014 to summer 2017. These moves and job changes caused massive amounts of stress, which in turn caused marriage/family problems, and behavioral issues for our children. 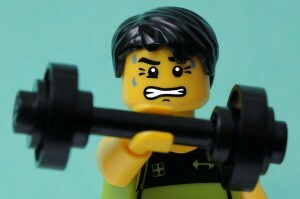 A lot of counseling followed for everyone over these years, but it was the perfect storm to pretty much destroy all the work I’d done on my health since 2009. There were a lot of factors that led to regain. Stress of course, plus depression, anxiety, changes in routines, and losing my in-person support systems. I developed disordered eating habits and compulsive overeating disorder (binge eating disorder). I also started drinking way too much alcohol. On top of all that, three other factors contributed to rapid regain. The first was an antidepressant that caused major weight gain despite being good for my mental health. The second was a misdiagnosed injury (a broken foot rather than a sprained ankle) that led to two years of complications and an inability to exercise. 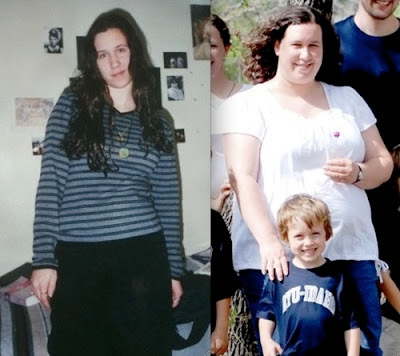 The third was that because of stress and disordered eating, I developed full-blown polycystic ovarian syndrome (PCOS) and insulin-resistance. Long story short, I regained 80 lbs, mostly in 2015 and the first half of 2016, and it took a long, long time to start the scale moving downward again. However, that brings me to Part 3 of this story, which is on my Wellness page! For more details about individual years/weights/etc, or for pictures along the journey, please see my Weight Journey Timeline page.